Are you ready for an awesome family adventure this summer? I definitely am. Even though we’ve only been living in Ontario for about a month, I’m itching to go on a fun, family vacation. There’s no better place to visit than right in our own country. Canadians here’s your chance to have the adventure of a lifetime with ARM & HAMMER Try Something Fresh Contest. One lucky family will win a 3-Day, 2-Night Adventure at one of Parks Canada’s scenic national parks this summer! 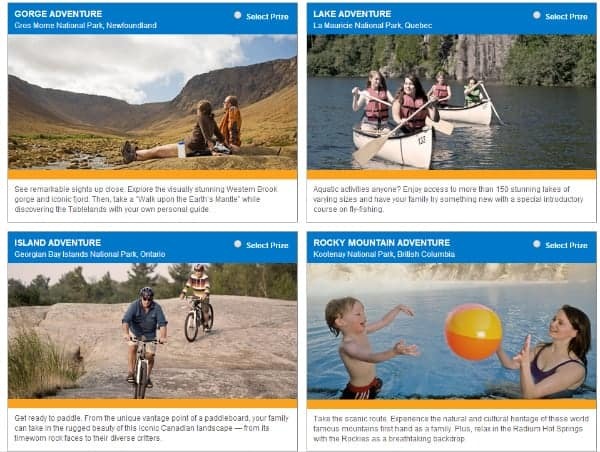 Enter by selecting one of the Parks Canada adventures and filling out the contest form with your information. You’ll also be eligible to win the weekly prizes for an annual Parks Canada Family Discovery Pass for unlimited access to any national park, national historic site or national marine conservation area and an ARM & HAMMER™ Laundry Detergent prize package. The contest is open to Canada only and ends on July 25, 2014. Good luck! If you’re looking for travel destinations in Ontario, then look no further. ARM & HAMMER has an excellent list of family friendly vacation spots to make long lasting memories. Some of my most precious memories of childhood were on family trips we took during our summer vacation! I’m hoping to check out at least a couple of these spots with my family. Ontario Place: A fun and entertaining hybrid attraction, Ontario Place boasts carnival classics like bumper boats and mini golf as well as thrill rides, an eco-learning center, and an IMAX theatre featuring Nature documentaries, fantastic fun for the whole family! Algonquin Park: Take a family canoe trip immersed in classic Canadian scenery and an unending expanse of water at Ontario’s Algonquin Park. For added adventure try overnight canoe-camping! Note: Algonquin Park isn’t far from where we currently live! Learn to Camp (at participating National Parks): Learn to camp with the whole family this summer at a guided overnight camping session, or a community teaching session to learn how you and your family can camp safely. There is no equipment necessary and qualified, trained experts will teach you through hands-on activities, the safest and most fun ways to camp with your friends and family this summer. Spring on the Farm: Join in this family-friendly event and visit the Forts Heritage Farm! Kids will get an up-close look at baby animals and also enjoy arts & crafts, games and live demonstrations! Check it out ahead of time to be sure you won’t miss the interactive animal feeding sessions. Black Creek Pioneer Village: A classic pioneer village, Black Creek offers a whole host of family friendly activities including demonstrations of old-time skills and chores and some hand-on activities for kids. Kids will get a chance to re-create pioneer life in period dress and a fun tip for parents -there’s a microbrewery on-site. Do you have any other Ontario destinations in mind for a fun family adventure? While you are trying something fresh this summer with your family, you’ll also want to make sure everyone stays clean and comfortable too! 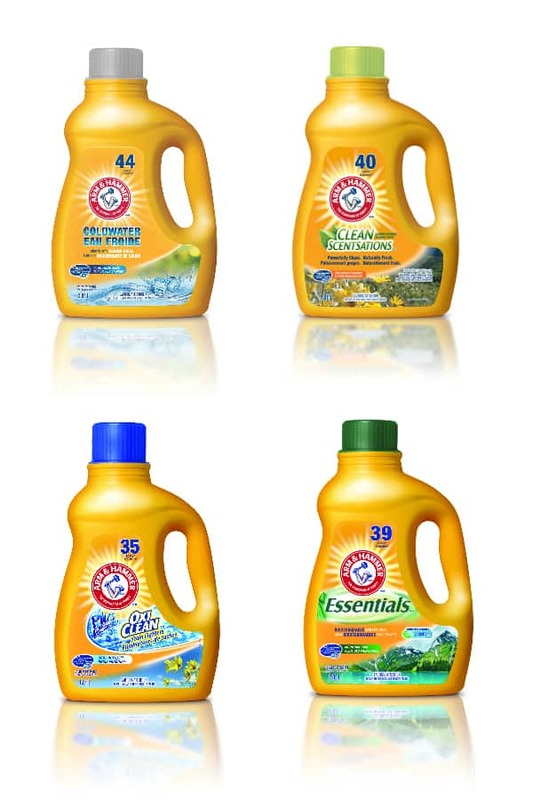 ARM & HAMMER has you covered and can help you to keep your clothes smelling fresh with the help of their amazing laundry detergent. They have some laundry tips to help you keep the family looking their best. Not sure if your kids newest clothes will run in the wash? Test the fabric by finding a hidden area on the garment (such as the inside seam) and apply a pre-treatment ARM & HAMMER™ Liquid Laundry Detergent. Allow it to sit for 30 minutes and rinse. If colour remains fast, proceed on the whole garment. Pressed on time? No problem! For really tough stains when you can’t treat them early, pre-wash instead! Run your weekend dirt and mud-stained clothes through the pre-wash cycle before laundering! Grease stains got you down? Pour ARM & HAMMER™ Liquid Laundry Detergent directly on the soiled spots and rub-in before putting them in your washing machine. I especially found the first tip about testing a hidden area on the garment for runs. My mom bought my daughter some new clothes recently and I was nervous to put them in the wash in case I ruined them. It wouldn’t be the first time that happened, so I’m always extra careful now! I would love to be a part of the GORGE ADVENTURE Newfoundland. I’d choose the rocky mountain adventure. I would choose the Rocky Mountain Adventure because it is closer to me but also because the Rockies are gorgeous. I’d pick the Rocky Mountain adventure! I would chose the Rocky Mountain adventure. I’d love the Rocky Mountain Adventure! I would choose the Rocky Mountain Adventure. Iid choose gorge adventure Newfoundland!!!!! Never been!!! Who doesnt love clean fresh clothes! Probably the Rocky Mountain adventure for the whole family. Wonderful give away! Thank you for the chance to win. The Gorge adventure would be great for the family! Would love to go back to Black Creek Pioneer Village, haven’t been since I was a small child. Probably Algonquin park…but who knows….need to learn about all the different ones. Any of them would be awesome! Love Arm & Hammer products. My only laundry detergent I use. Anypark would suit me fine. The George Adventure would be amazing!